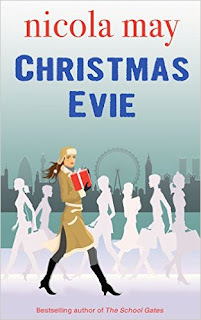 It’s two days before Christmas and Evie Harris finds herself both manless and jobless. After a chance encounter with handsome Greg (and egged on by her toy-boy-eating friend, Bea) she agrees to work at a homeless shelter on Christmas Day. Striking up an unlikely friendship with homeless Yves, Evie begins an unwitting journey of spiritual awakening, all set against the sparkling winter backdrop of London. A New Year’s Eve revelation is on its way … but will it leave Evie with a happy heart, or will she allow the pre-Christmas past to dictate her future? Wow! What an amazing little novella; this book gave me goosebumps and really warmed my heart on a cold winter night. 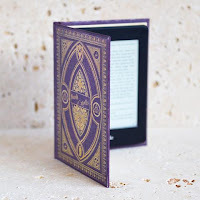 It’s a quick read that packs a big punch. Evie is suddenly single and unemployed at Christmas and, when she meets handsome stranger Greg in the pub, agrees to help out in a homeless shelter. It is there that she meets one of the homeless men, Yves, and she agrees to meet him at various locations around London. At each location, the beauty of London shines through and Yves with a ‘Y’ hands Evie with an ‘E’ a little card at the end of each excursion reminding her of the lesson learned. With his sudden appearances and disappearances, it quickly became apparent that there was something special about Yves. He really made Evie look inside herself and open her heart to the possibility of a new relationship. I have to give a special mention to Evie’s friend, Bea, who was responsible for my many chuckles when reading this book. She is absolutely hilarious, and is the complete opposite to peaceful Yves. She really doesn’t care what she says and is the perfect tonic to cheer up both Evie and the reader. Although I had an idea in my head where the story was going, I wasn’t entirely right and the ending completely surprised me. It’s a wonderful book that reminds us of those we miss at Christmastime and when they are still in our thoughts, they will never be very far away from us. This is an absolutely superb short-story. It is perfect for reading during the festive period, curled up in front of the fire with a nice glass of sherry.